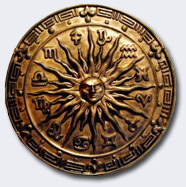 The Astrology Company offers a range of Astrology Consultations, Educational CDs, DVDs, as well as Astrological Software. Gain valuable information with an in-depth astrological birth, compatibility or relocation reading. The Astrology Company also provides the training needed to become a professional astrologer. Learn more about the astrological topics that make astrology an exciting and rewarding profession. Astrological expertise can be applied to many different areas of business and finance, personal counseling (individual, group, marriage, and family), and software development and education. The Astrology Company features all the self-help tools necessary for a wide range of astrological needs. The Astrology Company was founded in 1974 by Bob Mulligan. Bob writes a monthly newsletter giving a day-by-day roundup of the month ahead. Read this month’s newsletter online, or sign up to our email subscription to have it emailed to you at the beginning of each month. Please sign me up for The Astrology Company's monthly email newsletter. I understand that The Astrology Company will never redistribute my address. Between Astrologers and Clients, is now available.